Whoa! Get $100 - $200 Gift card dependig on the number of rounds! Choose from a 2 to 6 round package from 28 different courses. All at great rates. This package is designed for players of all budgets and skill levels and our golf directors will guide you to the best ones for your level. Rawr! With award winning courses, you hear about this package EVERYWHERE, why? It's that good. A golf package with challenging courses matched only by their beauty. Package comes in 2 rounds, 3 rounds and 3+1 Free Round. Either way, we always get rave reviews on these courses. You need choices? This package has it. This IS an elite package for serious golfers featuring BAREFOOT, GLENS GROUP courses and the prestigious Tidewater just to name a few. 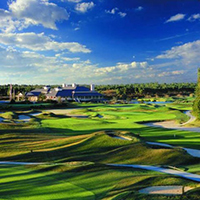 Available in 3, 4 and 5 round packages, you can't go wrong with this selection of golf courses. If your golf group is looking for the perfect accommodations in N. Myrtle Beach, Malibu Pointe is a superb choice. Well-known for having just the right mix of luxury and affordability with rock-bottom rental rates. 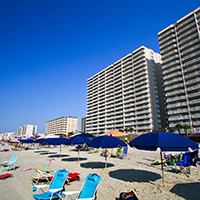 Blue Water Keyes is an immaculate oceanfront resort located in the Crescent Beach section of North Myrtle Beach. 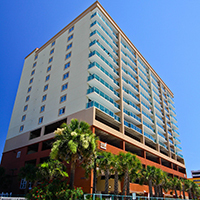 Year after year golfers continue to choose Blue Water Keyes as their accommodations of choice on the Grand Strand. 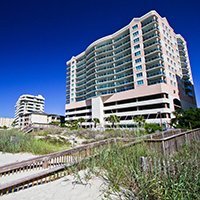 One of our most popular properties for golf groups, Crescent Shores boasts twin, 18-story oceanfront towers in the Crescent Beach section of North Myrtle Beach. The spacious 3 and 4-bedroom units can comfortable accommodate groups and is conveniently located across the street from Molly Darcy's for relaxation after a day on the course. The Dye Club at Barefoot Resort is the only semi-private of the four courses located on the property and a favorite among golfers. This par-72, 7,343-yard Pete Dye masterpiece is sure to challenge golfers of all skill levels and is just a short distance from your accommodations. 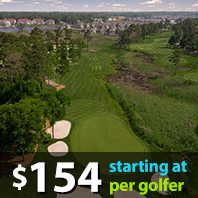 Play the Dye Club and see what it is consistently ranked in the top courses you can play in Myrtle Beach! Tidewater Golf Club recently made Golf Magazine's "Top 100 Courses You Should Play" and once you step onto the first tee you will see why. 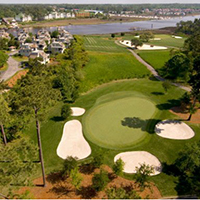 With it's meticulous landscaping, lush fairways, and spectacular views of the Intracoastal Waterway, Tidewater makes every golfer feel like a member for a day. 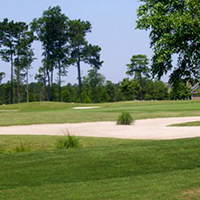 Located in nearby Calabash, NC, Crow Creek is truly a golfer's favorite year after year. Crow Creek is a par-72 course designed by renowned architect Rick Robbins and situated on 500 acres boasting large, bent grass greens, perfectly manicured fairways, and a charming Southern style clubhouse. 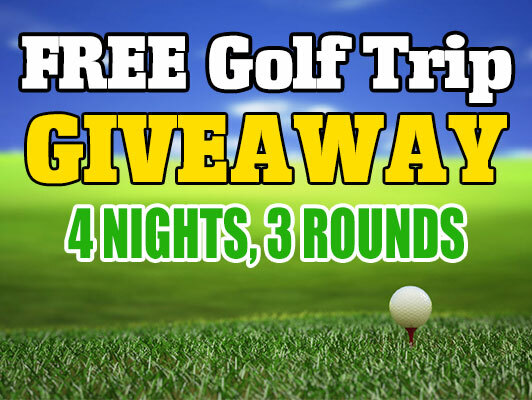 Whether your a skilled golfer or a beginner, it is a must play! 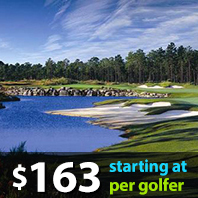 NorthMyrtleBeachGolf.com will be your ultimate tool for choosing the golf courses you want to play, the resort where you want to stay, and the lowest prices you'll ever pay for golf packages. Everyone from the avid golfer to the casual player will love playing. 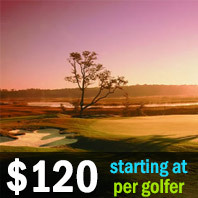 If you are looking for specials or discounted tee-times you are in the right place! We have everything from last-minute tee times to cut rates for early birds or summer players. What more can we say other than "PERFECT". The best time to play golf on the Grand Strand is either spring or fall. The temperature is perfect. The sun provides just enough heat, and the gentle breeze that flows over the fairways adds to the blue skies and ocean air. The weather is great all year round -- pick an early tee-time in summer to beat the heat, and a late tee-time in the winter to beat the cold. With plenty of packages to choose from, you may just have to extend your vacation by a week in order to play all of the Myrtle Beach golf courses we have to offer. With plenty of accommodations and other attractions around, not only can you bring your golfing buddies, the kids and spouse will enjoy the golf vacations as well. We offer packages for ANY size group. Bring your buddies down to stay in one of our beach homes with a private pool, or even stay in oceanfront condos! Any way you shake it, we have the best discounts and deal on our golf packages.